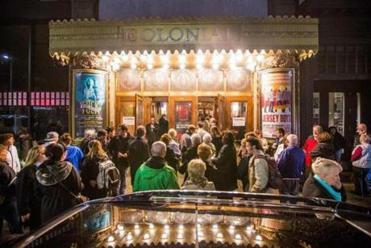 The Colonial Theatre’s uncertain future is part of changes in Boston’s theater landscape. 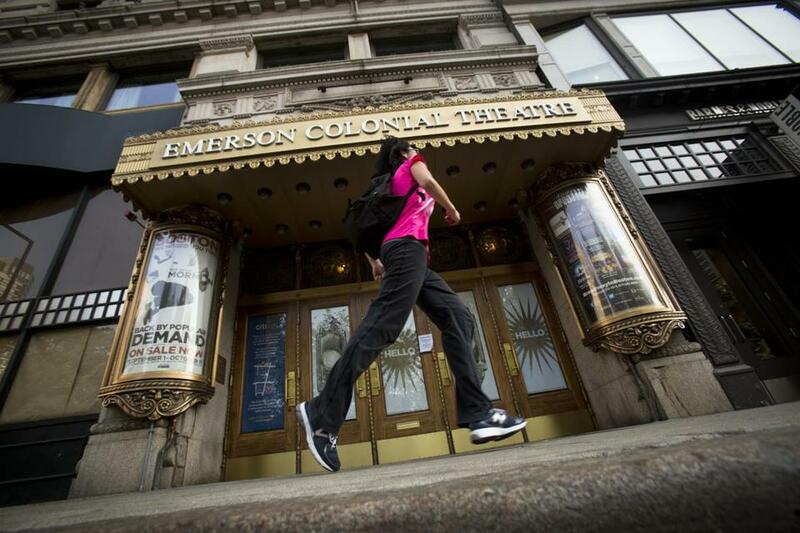 Emerson College’s plan to reconfingure the historic Colonial Theatre into a multipurpose space, including a student cafeteria, has shocked the arts community. Meanwhile, other theaters in Boston are also facing closure. Popularly known as “the turnaround king,” Michael Kaiser, who has worked with the Kansas City Ballet, the Alvin Ailey American Dance Theater, American Ballet Theatre, and the Royal Opera House, took the reins of the Kennedy Center in Washington in 2001 and enhanced its reputation as a leading national institution and a global destination for the arts. Kaiser’s management method, as the Miami Herald reported, “has become a kind of standard operating system for the arts.” Kaiser also launched a number of educational programs, combining a multipurpose and multivenue framework into one well-functioning, mutually symbiotic infrastructure. The Colonial was built to support Broadway productions. However, since 2006, that market has deteriorated significantly. In Cambridge, the American Repertory Theater, which steadily lost money for years, has turned things around with new leadership and is now churning out one Tony-winning hit after another. In addition, smaller, more experimental, student- and artist-run features flourish in its smaller spaces. The ART accomplished this by combining commercial, not-for-profit, and educational models into one symbiotic infrastructure. Across the country, various entities are partnering in new and innovative ways to develop successful models. For example, Disney Theatrical Productions has successfully collaborated with Williamstown Theatre Festival, La Jolla Playhouse, and the New York Theatre Workshop. Meanwhile, “Newsies,’’ which won the 2012 Tony Award for Best Original Score (Music and/or Lyrics) and was nominated for six other Tonys, was developed at the Paper Mill Playhouse in Millburn, N.J. The New York Times reported that “Newsies’’ recouped its investment of $5 million in seven months, becoming the fastest Disney musical on Broadway to turn a profit. In addition Disney’s “Peter and the Starcatcher,” the longest-running play of the 2011–’12 Broadway season and another Tony winner, was developed at the La Jolla Playhouse, a not-for-profit, professional theater-in-residence at the University of California, San Diego. Can we study these and other successful examples of multivenue arts management, particularly those in dense urban environments such as Lincoln Center in New York, the Kennedy Center, and the Dallas Theater Center, to devise a viable model that would well serve Emerson and the broader Boston community? The Broadway touring business alone is close to a $1 billion annual industry, and that doesn’t include the economic impact for the host cities. If Emerson and its theaters are not part of that industry, it’s not the industry’s fault. Emerson currently owns two Broadway-style theatres (the Colonial and the Cutler Majestic), two midsize theatres (the Paramount and the Semel), two black boxes (the Greene and the Jackie Liebergott), and a number of smaller multipurpose performance spaces. All the spaces are located in the Theater District. The Emerson Performing Arts Department faculty are seasoned professionals with firsthand knowledge of the real world and its challenges. Our students and alumni are some of the top movers and shakers in the performing arts world. Many of our students have found long-term employment through the Colonial. Emerson’s success depends on the success of our students and alumni, and our students will not succeed if they have no connections and no training ground in both the commercial and nonprofit worlds. Can Emerson, with all of its spaces and central downtown location in one of the country’s major cities, create a multivenue, multipurpose symbiotic infrastructure that would house some of our local performing arts companies, becoming in the process an economic powerhouse, employing hundreds of local residents and allowing Emerson to pay its debts and purchase the buildings necessary to house and feed all of our students? Would such a thriving complex provide training opportunities for our students and provide multiple benefits to our Boston community? Of course. Solutions are out there; they just have to be sought. Magda Romanska is associate professor of theater studies and dramaturgy in Emerson College’s Department of Performing Arts. Follow her on Twitter @magdaromanska.